Alia graduated from Bryn Mawr College in 2013 with a degree in economics. During her time there, she studied and worked with local and international development NGOs in various countries in North America, Europe, and Asia. Post-graduation, she worked in Liberia on renewable energy economics for a USAID-funded project. 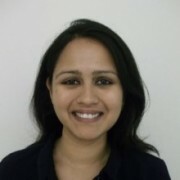 Now part of HITAP’s international unit, Alia works as a Project Associate with the project management and research team. 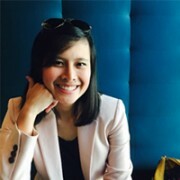 Alia manages the HIU-iDSI project in Indonesia. She provides technical support as well as logistical and administrative coordination for the organization’s regional projects. Saudamini Dabak is an ODI fellow with the Health Intervention and Technology Assessment Program. She has had 2 years of experience working in the banking industry with Standard Chartered Bank, has shifted to the development industry as a project manager with the Adakllu Ablornu Development Committe and has later on gained a consultancy in the World Bank. Her experiences and strong work ethic have enabled her to contribute to furthering the work of HITAP internationally. Her knowledge and ability to work under different settings gives her a unique perspective in approaching HTA and it’s institutionalization. Manushi is a graduate in pharmacy and went ahead to pursue her Masters in business administration (MBA) with specialization in operations management. 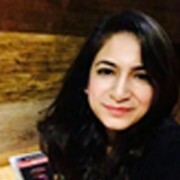 After completing a postgraduate diploma in Health Economics, Financing & Policy she worked with Public Health Foundation of India (PHFI) for 2 years on the project “Strengthening Evidence-base for Sustainable Health Financing Models in India” in the areas of Health Financing and Access to Medicine. As a Project Associate with HIU she works with both the research and the management team. 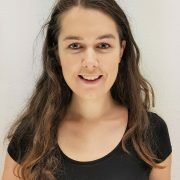 Juliet Eames is an Overseas Development Institute (ODI) fellow with the HITAP international unit. In 2015 Juliet graduated from the University of Oxford with a degree in Philosophy, Politics and Economics. She then specialised in Economics and attained an MSc in Development Economics from SOAS, University of London. 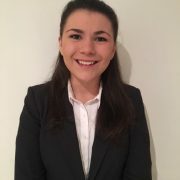 Juliet has experience working in the development sector, and previously worked for the consultancy Charlie Goldsmith Associates. Here she worked alongside the South Sudanese government on a national programme which promoted female education in South Sudan. This gave her skills and experience in Monitoring and Evaluation and broader project management. Since joining HITAP, Juliet has been involved in HIU’s work in India and Indonesia. Rachel is from the UK and joined HITAP as a Project Associate in March 2018. She studied her undergraduate in International Development at the University of Leeds, UK, and then went on to pursue a masters in Public Health and International Development at the University of Sheffield, UK. Whilst studying for my degrees, she interned for various non-profit organisations across East and West Africa including a sexual health charity called Theatre for a Change, Ghana and a community based organisation called Our Roots Kenya. Her work included performing monitor and evaluation, writing tender documents and managing communications. Her research interests lie in reproductive health in low income countries. For her Masters thesis, she collaborated with the non-profit Shanti Uganda to investigate the trend towards teenage pregnancy in Luwero District, Uganda, through an intersectional framework.